At Major Oak Polishing, we specialise in the restoration and repair of both modern and antique furniture. With many years’ experience there is very little we haven’t come across and you can be confident that, if you entrust your furniture to us it will be in the safest of hands. Based in Nottingham, in the heart of the UK, we offer our furniture restoration services across the whole country. If you have furniture requiring our services outside of the UK then we are more than happy to discuss your requirements and have skilled teams available that are happy to travel. We offer both commercial and domestic furniture restoration services and can complete projects in our own workshops or onsite at your home or business premises. We are also heavily involved in marine services and cabin restoration including touch up, damage repair and recoating. What Types of Furniture do we Restore and Repair? We are experts at restoring wood furniture back to its former glory and are happy to work with any type of item. We work with all common moveable pieces such as Tables, Desks, Chairs and Bookcases and also less movable items such as Doors, Staircases and wood panelling. We have also worked with musical instruments such as pianos and guitars. It’s not just antique furniture restoration work that we carry out. Many modern pieces also require some love and attention from time to time. We are able to restore most types of modern furniture by repairing damage such as scratches or chips, securing loose joints, stripping back the wood, sanding and finally polishing. Your piece of furniture will look as good as the day you bought it and at a fraction of the cost of replacing it with a new piece. Some of the common household items we can work with are listed below. If you don’t see what you’re looking for please contact us to see how we can help. Major Oak Polishing are specialists in French Polishing and Floor Restoration and sanding. We have extensive experience of working on both large and small commercial jobs. We have nationwide coverage and can also work outside of the UK. We are able to restore most types of surface including Wood, Metal, Glass and Plastics and can act as your one-stop partner for all surface restoration work. When you are dealing with old furniture, you often have scratches and dents to deal with. You may also have peeling varnish etc. Generally speaking, an older piece of furniture can look a little shabby. The first thing you will need to do is identify what coating the furniture currently has. Knowing the surface is key to treating it right and beginning your restoration project. It may be difficult to identify what the finish is by sight alone, so we would recommend testing a small inconspicuous area. Alcohol will remove shellac, whereas you will need thinner to remove lacquer. If neither of these products works, then it is more likely a varnished finish. Paint is easily identifiable, and if the finish is oil, wax or some other penetrating sealant, there will be no shine. Before you begin your restoration product, remember that there are chemicals and tools that will need to be handled with caution and care. Ensure you have the correct tools for the job. A professional furniture restoration company may be able to advise you on what tools are needed if you want to do the job yourself. Always ensure you have protective gear such as rubber gloves and protective eyewear, long-sleeved clothing or overalls are also advisable as this will protect your skin from any potential harm. Make sure you work in a well-ventilated room or outside if possible as the fumes can be overpowering. Store chemicals safely and always keep away from naked flames. Some old paints may contain lead. This will require a professional ventilator, and it’s probably better to send it to a professional company for stripping. Occasionally a good clean is all you need to restore old furniture. Try an oil-based commercial wood cleaner to cut through the dirt and wax build up on the surface. If this doesn’t completely restore the lustrous finish, try a solution of warm water and liquid detergent. Use a clean cloth and make sure you don’t get the wood too wet. Always ensure you rinse and thoroughly dry the furniture with a soft cloth to avoid any watermarks or damage. Avoid microfibre cloths as they can cause scratches. This may not be enough to thoroughly clean the surface and solvents may be required. Solvents such as turpentine, denatured alcohol and mineral spirits should be applied using a rough cloth. Once you are happy that the surface is totally clean, you can buff the finish with a soft cloth. Scratches and cracks can dull the surface of your piece, sometimes creating a crackling effect. Most surfaces will be able to go through a process called re-amalgamation, with varnish being the main exception to this. After cleaning, use the solvent suitable for your finish as discussed above. You will need to use a natural bristle brush and quickly apply the solvent over the surface without letting the brush become too dry. Once dry the solvent will go from a glossy appearance to a dull finish that is free from marks. Lightly buff the area, working with the grain of the wood, with steel wool. If you wish to add shine, use hard paste wax. If your furniture has layers of paint or varnish, it will need to be stripped before resurfacing can happen. For lots of layers, you will need a tough stripping formula such as a semi-paste that will loosen old coats of paint for scraping. Liberally apply the stripper in the same direction from the base of the piece of furniture. You will need to leave the stripper to work for at least 20 minutes before scraping with a stripping tool. This process may need to be repeated several times if the layers are particularly dense. When your furniture is roughly 95 percent clear of paint, use a liquid stripper to remove the last of it. Apply with a natural bristle brush, wait for a few minutes for it to activate, then remove using either a brass bristle brush or steel wool. Rinse off any residue with more striper using a squeegee on the flat surface and a putty knife wrapped in a paper towel for smaller areas such as carvings. If you have any repairs to complete, do these before beginning to stain or paint your old furniture. Sand down the surface with 100-120 grit sandpaper. Use a vacuum and tack cloth to clean the surface. Always use a natural bristle paint brush to apply stain, wait for five minutes then wipe off any excess with a clean cloth. Next, apply a sanding sealer and allow to set overnight. Sand down the next day with 220-grit sandpaper. Finally, you will need to choose your finish, which could be a lacquer, polyurethane or varnish. This will protect your restored old furniture and give a subtle sheen. 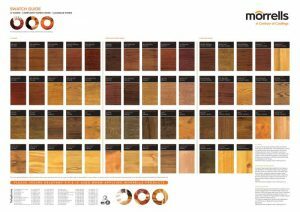 Always check that the substances you are using are safe for the wood you are treating. This process is very long, but very rewarding when you a left with a beautifully restored piece of furniture. However, not everyone has the time to spend on restoring old furniture, and this is where our team of experts can help you. To discuss your requirements please get in touch using one of the methods shown below. Oak furniture is undoubtedly beautiful. The wood looks even more attractive as it ages. As such, it is usually preferable to restore a piece of oak furniture than needlessly throw it away. Some restoration is quite simple, all it needs is a good clean, and you are ready to go. Others may take a little more time and effort. This How-To guide will hopefully guide you through your options. Of course, some repairs are just not possible; major structural damage may hinder your repair options for example. 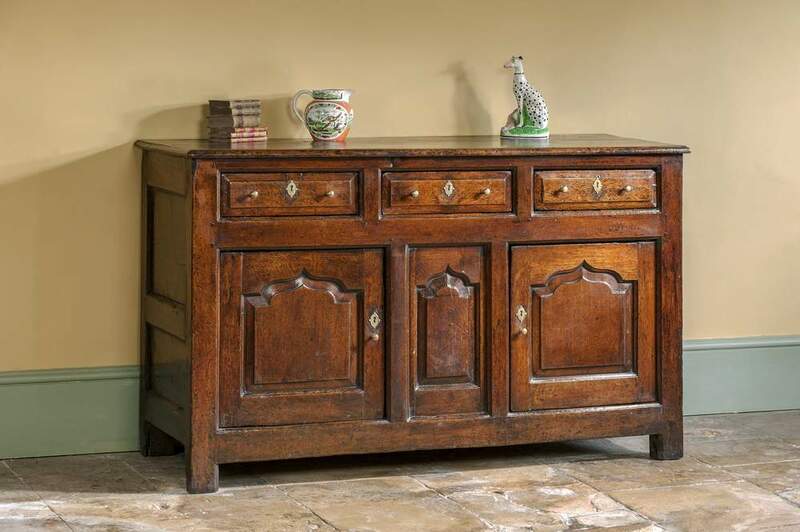 However, we understand the importance of restoring beautiful oak furniture to its former glory, so read on for some expert tips. With any restoration project, the first thing you will need to do is review your options. If the furniture has any discolouration due to water damage, sun bleaching etc., you will want to sand it down and refinish. Any scratches and dents will need to be addressed with either sanding or in the case of deeper marks; you may need wood filler and stain to cover the imperfection. If your furniture has split, it may need to be glued and repaired before any finishing. No matter what repairs you need to carry out, it is important to first prepare your oak furniture by cleaning off any dirt and wax. Using a sponge and a mixture of dish soap and water will remove any dirt. Then dry the wood with a rag to avoid excess soaking. Once you have cleaned it, run your fingernail along the wood to see if there is any waxy residue. You will need to rub the wax off with mineral spirits or naphtha to prepare it. Wax will compromise any sanding and refinishing required. If you find that post cleaning your wood finish is peeling or cracking, you will need to remove this layer. The easiest way to do this is with a paint stripper. You can use a methylene chloride stripper or a safer soy-based one. You should make sure you wear gloves and goggles during this process to protect your skin and eyes. Spread your chosen stripper liberally with a paintbrush and scrape with a paint scraper and steel wool. Once this is complete you will need to neutralise the stripper with water; then you can carry out any necessary repairs. After completing the repairs, you can sand the wood down. If however, you find that stripping the oak furniture with paint stripper is unnecessary, you may find sanding before repairs is better. Repairs will need to be carried out if you have any splits in the wood. You may need to apply a wood glue to seal the gap. If you do, you should try and use extendable wood clamps to hold the wood together while the wood glue dries. You will also want to use batons to protect the surface of your oak furniture. An Evo Stick wood glue should do the job. If after repairing the split you find there is still a small gap present, you can use some beeswax to fill in the gap. Beeswax is more playable than wood filler and easier to use in some instances. Roll a small amount into a sausage and push into the gap with either your thumbnail or a flat edged tool. Remove any excess wax with a knife and leave to dry. However, if you need to fill a larger gap, or dent, you may need to use wood filler. With oak furniture, you will need a special water-based oak wood filler. Apply with a tool such as a putty knife. Make sure you have sanded inside the hole to ensure the filler will adhere to the wood. Also, remove any dust, you can do this with a vacuum cleaner. You will probably not need coarse sandpaper, nothing coarser than 100-grit, after stripping your oak furniture. However, the sanding will affect the finish, so it is important to take your time and use the correct tools. A palm sander is best for larger surfaces, and a rotary tool to sand spindles, carvings and crevices in turnings. Once you have used the palm sander, be sure to sand again by hand with a 120-grit paper, be sure to sand with the grain of the wood. You can make a third pass with 150-grit over any smooth and flat surfaces. Once the wood has been sanded, you will need to seal it as the grain is now open and vulnerable. For a clear oil finish, wipe a coat of tung or linseed oil with a cloth across the surface of your oak furniture. Once it is dry lightly sand with 320-grit sandpaper and apply another coat. If however, you wish to stain the furniture and then apply a clear coat, you should apply a clear wood conditioner prior to staining which will enable the stain to penetrate the wood uniformly. Apply liquid stain with a brush and gel stain with a rag. Wipe off any excess with a clean cloth and allow to dry overnight. For a more natural, muted surface, you can wipe an oil finish over the stained oak furniture to protect it. If you would like a more glossy film coating, then you will need a varnish. Always apply your varnish with a clean brush. This will probably require two coats. You could also use a lacquer, which will still give you a shine, but more subtle than a brush on varnish. Lacquer is faster drying than varnish and should be applied using air spray equipment or aerosol cans. You will probably need to apply three coats. With both varnish and lacquer, you will need to leave it to dry then sand with 320-grit sandpaper before applying the next coat. Once your final coat has cured for a few days, you can buff it up with paste wax or furniture polish to give it a lustrous sheen. However, if you have chosen to use a coloured beeswax product to stain your furniture, you can use a neutral beeswax polish to add the desired sheen. The more coats you apply, the more shine you will achieve. Finally, buff the polish with a soft, clean cloth. Wooden worktops are hard-wearing and can cope with most minor spills, making them a great choice for a kitchen surface. However, if not properly maintained, they can become stained, discoloured and damaged. You should never varnish a wooden kitchen worktop as this can chip or crack leaving your surface open to germs and creating an unhygienic surface in an area where hygiene is paramount. Instead, you should always be sure to use an appropriate wood oil. In this guide, we will discuss what to do if your surfaces have become damaged, how to treat your wooden worktop and how to prevent further issues. Water that has been left stagnant on your work surface will penetrate the finish of the wood and cause black spots. To remove these black spots, the surface will require sanding and refinishing. You shouldn’t need to sand the entire worktop, just the affected area. 1. Firstly sand the surface to remove the finish, then you may continue to sand until you have removed the black stain. The best sandpaper for the job is 120 – 180 grit. You should avoid using sandpaper that is finer than 180 grit as this could prevent the oil from penetrating the wood. 2. If you find that the discolouration has penetrated more deeply into the wood, you may need to treat with a light bleach solution, or even chisel out the black spot. Once the black mark has been removed, fill in the dent with either shellac or wax. 3. When you are happy that the black spot has been removed, clean the worktop with a lint-free cloth to remove any sanding residue. Next, you can re-oil ensuring that you match your original surface. 4. If the wooden worktop is damaged and in need of renovation, you can sand the whole surface with some fine sandpaper. Top tip: dampen the surface before sanding. More extensive damage may require coarser sandpaper to begin with, however, grade down for the final sanding then apply the oil as listed below. Light ink stains that have not absorbed into the wood may be removed with a light buffing using a cloth and mineral spirits. Deeper stains that have penetrated through the finish will require a similar process to removing black spots. 1. Sand down the affected area until the mark has disappeared. 2. Then sand the rest of the worktop to ensure a flat and even finish. 3. Finally, re-finish using the appropriate oils to match the rest of your wooden worktops. Not everything will penetrate that protective layer and may just sit on the surface. Grease, paint, lipstick, wax etc. can be more easily removed. To remove a surface stain from oil-based paints, you can use a natural mineral solvent or a mixture of lemon and vinegar. Water is sufficient for cleaning latex based paints. 1. Carefully using the edge of a putty knife, remove any dried on substances. Avoid using sharp or abrasive tools as this could damage your surface. 2. Once the deposit is removed, you can lightly buff the area with fine sandpaper. Ensuring you sand with the grain. 3. Finally, apply a fresh coat of oil to ensure the area is protected. As you have only taken the surface layer off, you should only need to apply one layer of oil to the affected area. 1. Make the wax or gum brittle by pressing a packet of ice wrapped in a towel against the area until it hardens. 2. Using a finger or thumbnail, you can easily lift the hardened wax or gum off the surface. 3. If not coming away easily, re-ice the area to ensure the wax or gum is hard. Burns to your wooden kitchen worktops are usually caused by hot pans being set down directly onto the wooden surface. If the mark is not too severe, you should be able to sand the top layer away and re-finish as described in the black spot section. 1. Carefully scrape away any charred wood with the flat, sharp edge of a craft knife, or a curved blade if the burn is deep. 2. Once you have scraped away the burn to expose the unaffected wood, feather out the edges to help blend the repair with the surrounding wood. 3. Lightly sand the edges of the groove to try to level it with the surrounding surface. 4. Using fine-grit sandpaper, press lightly into the groove to remove the burnt fibres, being careful to damage the surrounding area. 5. To check that all the burn has been removed, dampen the sanded area. The burn will reappear under the moisture if all of the char has not been removed. 6. You may need to re-fill the affected area using a wax wood filler to match the surface. Oil should be applied using a lint-free cloth. A lint-free cloth will prevent any fibres being deposited on to the wood; old T-shirts are ideal for this. Always apply the oil with the grain of the wood and gradually build up the layers for protection. You may find the oil drying at different levels as some areas of the wooden worktop will be more porous than others. If you wait for around 15 minutes, you can then wipe a lint-free cloth over the surface once more to even out the coverage. It is important not to let pools of the oil sit in one place. Each additional coat of oil should be applied in the same manner, allowing thirty minutes to an hour for it to dry between coats. There are a variety of oils that you can use to treat your wooden worktops; it is important to get a match to the original oil if you are repairing a section of your worktop. If you are unsure, one of our experts will be able to advise you on the best oil for your surface. Danish oil – which is a mixture of oils including linseed and is the easiest to apply. It also offers good protection to your wooden worktop. Tung Oil – this oil from the Tung tree provides excellent protection, but is a little harder to work with. It also requires greater drying time than Danish oil. Linseed Oil – with linseed oil you will need to work quickly as it has a fast drying time. You will also need to apply more coats than with other oils. Teak Oil – a mixture of natural vegetable oils. Of course, preventing damage from occurring in the first place is the ideal situation. There are a few steps you can take to avoid damaging your surfaces. 1. Regularly re-oil your worktop. Applying a thin layer of oil at least every three months will ensure that your wooden surface stays protected and looking good. You cannot over oil, so if you find that you need to do this more often, then do. 2. Use protective heat pads, pot holders, hot rods, granite inserts etc. to protect your worktop from getting burn damage. 3. 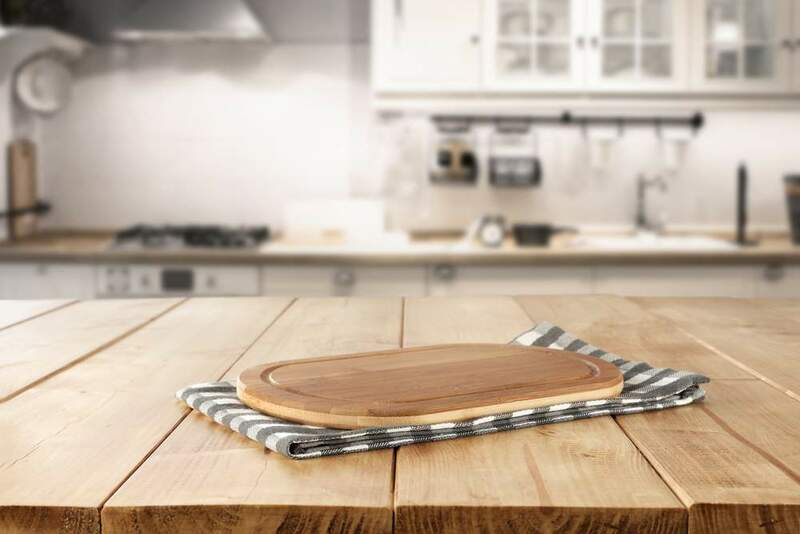 Always use a chopping board when preparing food to avoid damaging the surface. 4. Place a mat under any rough-bottomed pans. 5. Make sure you mop up any spills immediately, don’t let fluid sit on your wooden worktop. 6. Avoid using any scourers including green sponges, or you will need to re-oil the area. 7. Chemical based multi-purpose cleaners should be avoided. If you are unsure about what products to use, or how to treat a stain, one of our experts will be happy to help you.